Nashville Area Custom Home Designs Best of Houzz 2016 & 2017! We are a general contractor who specializes in exceeding our clients expectations. Family owned and operated, Linville Builders, LLC has over 10 years of new home construction experience in the greater Nashville area. Linville Builders, LLC performs all levels of building and remodeling. We offer start-to-finish solutions for every project. We specialize in new home construction and interior or exterior home renovations, including bathroom and kitchen remodeling, home additions, garages and more! We guarantee high-quality construction for each and every project. Check out samples of our recent work, and you'll agree that we're the best choice for your new home build or home renovation project. Brady Homes of Central Illinois is a family owned and operated home building company. Located in Bloomington, Illinois, our company builds single-family and semi-custom affordable homes. We pride ourselves in providing our customers with the best service possible for over 50 years. We hope that we can be your choice for your next home building experience! 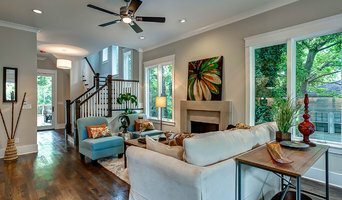 APEX Builders has built homes locally in Nashville for over 8 years with a mission to provide our customers with the absolute best experience with construction process. We incorporate the most advanced building science practices while creating your vision of the property. We specialize in historic homes, bathroom and kitchen remodels, home additions, and new construction. Call or message us today to meet and discuss turning your vision into reality. The Ernst Group LLC, a recognized leader in building custom homes in the greater Middle Tennessee area, has recently become an independently owned and operated franchisee of Arthur Rutenberg Homes. The Ernst name has been involved in building one-of-a-kind custom homes for nearly 20 years. The Ernst Group, a family owned business run by brothers, Steve and J.R. Ernst, is well known for providing an exceptional client experience as well as building distinguished homes that stand the test of time. "As a company, we have always strived to be innovative as it relates to our client's experience and the home building process. Our partnership with Arthur Rutenberg Homes is a natural next step in keeping with this philosophy and will allow us to bring award winning designs, exceptional value, and an unparalleled building experience to those looking to build custom homes or remodel in the Middle Tennessee region." Ochoa Bros. Construction LLC is a boutique commercial and residential General Contractor committed to a tireless vision and passion for building. We strive for the highest standard in construction technology, materials and execution. The Ochoa Brothers have been synonymous with creating timeless construction, design and renovations in Nashville and the surrounding Tennessee counties for over two decades. Utilizing hands-on creative problem solving, attention to detail, and a make it happen attitude—we serve discriminating clients with a project that is on time and within budget. Property design and construction. Building fully custom homes in Tennessee. 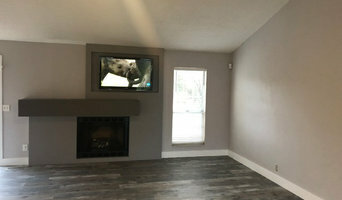 Custom Creations Home Improvement, LLC is a full service, licensed home improvement company that can take care of anything from extensive home renovations to kitchen and bathroom remodels, general repairs and everything in between. With over 40 years of combined experience, Custom Creations Home Improvement takes pride in treating every customer with ongoing attention, integrity and reliability while delivering high quality work. Paige Williams opened the interior design firm in 2014 after working in the industry for five years. 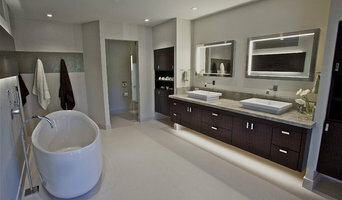 We focus on both residential and commercial spaces. Services include space planning, selection of paints & fabrics, AutoCAD design, custom window treatments & upholstery, rugs, & more. Taylor Made Plans designs additions and custom homes that capture all the architectural details and modern amenities that homeowners love. Led by residential designer and historic preservation expert Lynn Taylor, the company’s home designs have gained national attention and awards for their high quality, attention to detail, and custom charm. Taylor works closely with homeowners, investors, affordable housing organizations, and community development corporations to determine the ideal plan for their needs, within budget. Let us be your personal advocate in your next new home design or renovation project! Shane McFarland Construction, based in Murfreesboro, is a full-service custom home builder and commercial construction company in Middle Tennessee. Specializing in both residential and commercial construction, Shane has put together a highly skilled team with over 100 years combined experience that demands excellence – from concept to completion. Shane McFarland Construction has quickly built a reputation for exceeding client expectations by offering excellent workmanship and impeccable customer service in each phase of the building process. Shane McFarland brings an enhanced skill set to every project. Not only does he have a wealth of knowledge about progressive construction techniques, but he also brings a financial background that includes an accounting degree to ensure your project stays on budget. Additionally, and most importantly, it is Shane’s honesty and integrity that clients appreciate most. Celebration Homes is a private Homebuilder in Nashville Tn and surrounding Counties. We are dedicated to bringing the very Best New Home designs and Premier Communities to our Customers. We focus on Creating New Homes with “More Space and More Style” while remaining an exceptional value. We have a storied Tradition of excellence in Middle Tennessee and have been one of Nashville Top 20 Home Builders from 2001 to present. With a New Celebration Home you Simply get “MORE”. . . More Space to use, Our cutting edge floorplans maximize space while maintaining efficiency. More Style, Our designer finishes allow customers to build their dream home that’s unique, Not a Carbon Copy of their Neighbors. More Options, We have innovative floor plans that match different lifestyle preferences whether your Looking for a starter home, Sprawling Family Estate or Efficient “Empty-Nester” escape, Celebration Homes has the Right plan for you.